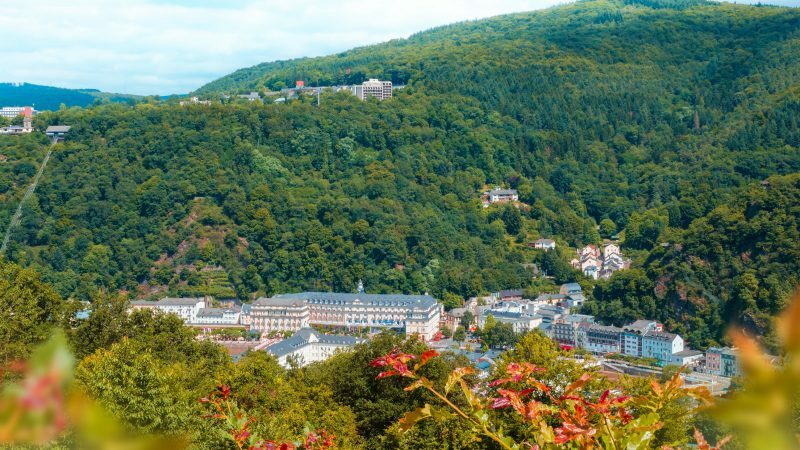 Bad Ems is a famous Spa resort, which seduced emperors, tsars and kings for hundreds of years with its unmatched thermal baths. This is reflected in the rich and sympathetically renovated facades of the town’s buildings. The baths with their marble hall and theatre, Germany’s oldest casino, a Russian orthodox church and the baroque bathing hall are all part of Bad Ems’ fascinating history. A walk through the town park stretching along the river Lahn is simply wonderful. At the heart of all this lies the bountiful healing mineral springs. 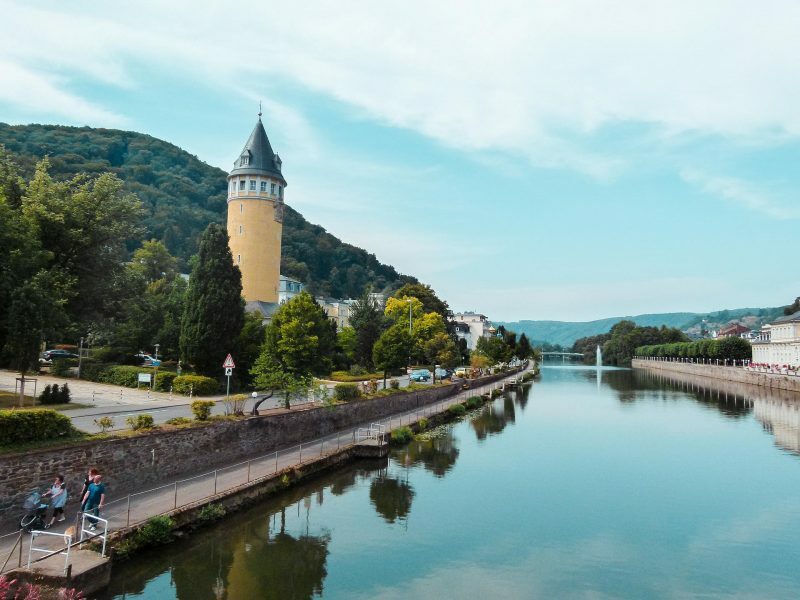 The scenic Lahn valley offers a mild climate – a green paradise with the hills of the Westerwald and Taunus, quiet and untouched meadows and river banks of outstanding ecological importance. Enjoy relaxing river walks, canoe trips and magnificent woodland walks. Cyclists are well catered for, be it mountain-biking, road biking or touring. Koblenz lies just 20 mins away on the “Deutsches Eck”, the confluence of the Rhine and the Mosel, and last year hosted the most successful Garden Show in Germany. 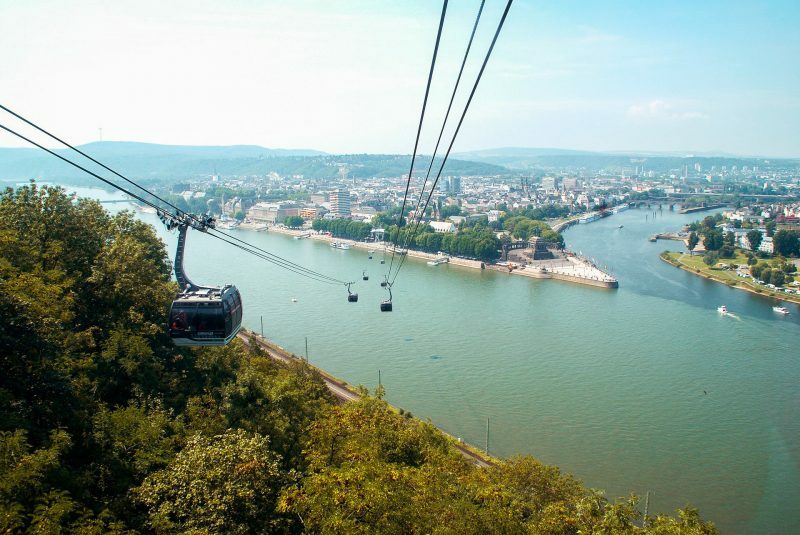 Many of the Garden Show’s attractions remain, including the cable car over the Rhine up to the Ehrenbreitstein fortress, which is the largest fortress complex in Europe. It has been carefully renovated and is well worth a visit – if only for the spectacular views over Koblenz. When you float back down over the Rhine, you will see the idyllic old town with its many points of interest, narrow streets and romantic squares. Or you might like to take a walk along the Rhine to the baronial castle. If you like shopping, you will be well catered for in Koblenz. Why is the Rhine so beautiful? Whoever takes the 65 km stretch from Koblenz to Rüdesheim, (UNESCO world heritage site - Upper middle-Rhine valley) will soon know the answer to this line from a well-known German song. Here the “romance of the Rhine” is still alive, a picture-postcard perfect river valley with rugged rocks, precipitous vineyards, a castle on every peak and picturesque villages on every slope. This is the home of fables and sagas, of the Loreley sitting on her promontory, of feuding brothers and the Binger “Mouse-tower”. 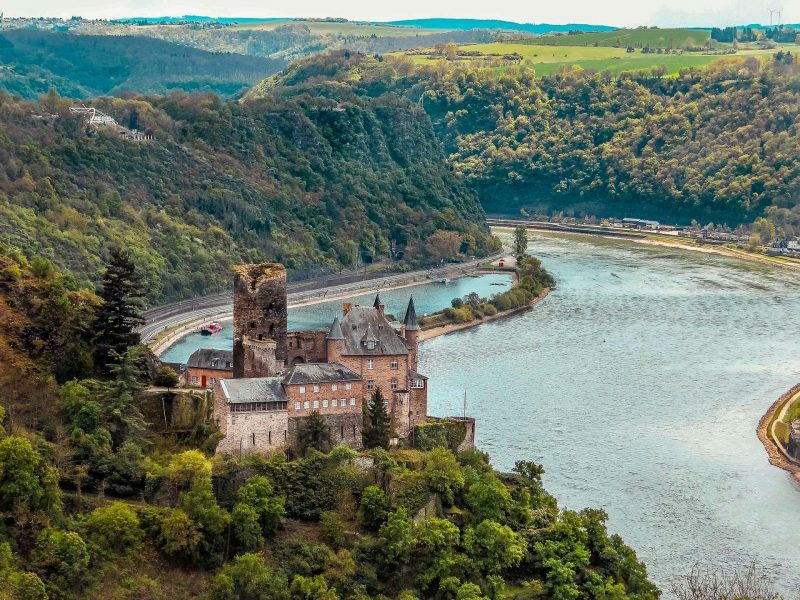 Enjoy a boat-trip on the Rhine, wine-tasting the locally produced wines, visit the castles and fortresses and then you’ll know why the Rhine is so beautiful! Not only visitors benefit from the intense sun on the slopes of the Mosel, which creates a mild climate; the slate bedrock stores the heat and helps to grow the best Riesling vines in the world. We would be happy to arrange a visit for you to a local wine cellar and wine-tasting at a renowned wine producer. The Lahn is one of the most romantic rivers in Germany. It flows past our hotel down in the valley through Bad Ems and joins the Rhine 10km from here at Lahnstein. On foot, by bicycle or by canoe, you can rediscover unspoilt nature. Unmissable are the towns of Nassau with its castle - Nassau-Oranien, Diez with its baroque manor house, Oranienstein and Limburg with its beautiful ancient town centre and cathedral.